There are 1.5 million people aged 85 or over in the UK, and the population over 75 is set to double in the next 30 years, according to Age UK. As life expectancy in the UK increases and the population ages, the need for appropriate care for the elderly becomes more pressing. Many elderly people wish to stay in their own homes rather than move to care homes, and regular visits from trusted carers can make this possible for some people. 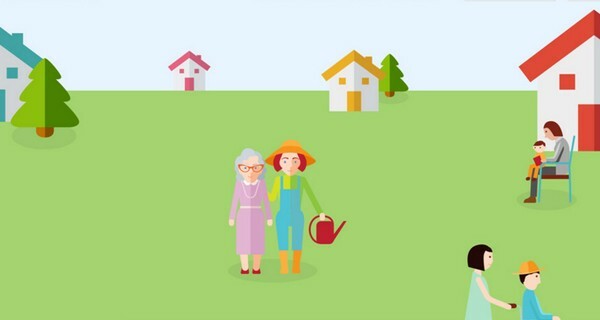 HomeTouch is a new online service that connects elderly people with vetted, experienced carers. Families with an elderly relative can log into the website and input their postcode to search for nearby carers. They can browse carers’ profiles and message them directly to arrange an in-person interview, and if all goes well they can set up a contract and make payments via the website. All HomeTouch carers are qualified, trained care professionals. They are interviewed and fully background checked before being allowed to join the network of self-employed carers. Carer profiles include personal statements and videos, and hobbies and interests are listed so that the perfect personality match can be made. Families can use the HomeTouch service to keep in touch with carers, so that there is a personal relationship and people can feel certain that their loved ones are being well looked after. The service enables carers to work flexibly and earn up to 75% more than with traditional agencies, while costing the elderly and their families significantly less than many other care options. Launched in January 2015, HomeTouch has already helped provide elderly people with thousands of hours of care across London. It will start rolling out across other areas of the UK in 2016.